A museum for the city, an open and welcoming forum for dialogue and exchange about and with the city. It is a city museum in the truest sense; the »StadtPalais – City Museum of Stuttgart« is a place where the citizens of Stuttgart can interact and connect with each other and their city. The new City Museum of Stuttgart in the historic Wilhelmspalais was designed with people at its heart. It asks how Stuttgart became what it is today, seeks perspectives on today’s city life, and discovers visions for the Stuttgart of tomorrow. 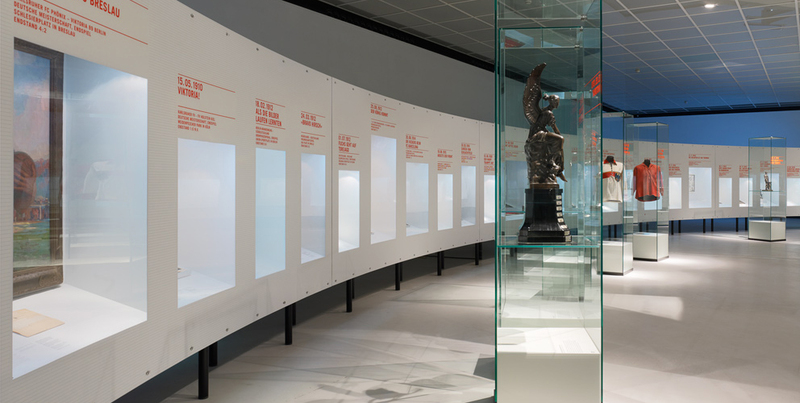 The full design concept and creation of the permanent and exhibition and the first two special exhibitions were entrusted to jangled nerves. As a museum and exhibition design firm working in and outside of Stuttgart, we are particularly proud to have helped created the new City Museum of Stuttgart. As the city’s new museum, the StadtPalais should be accessible on all kinds of levels – and for everyone. 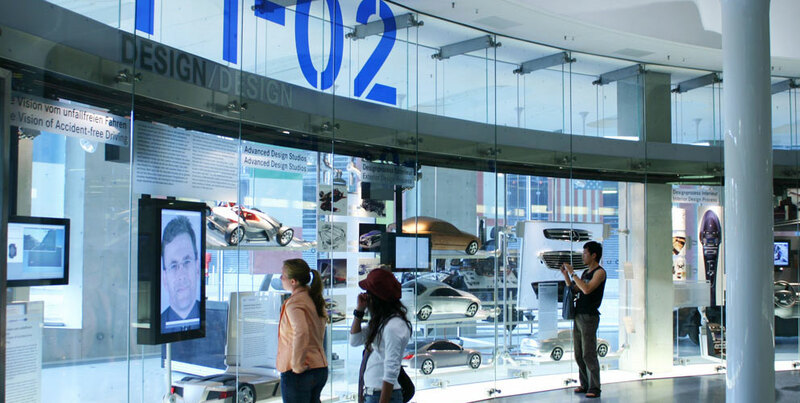 The implementation and design of the exhibitions is explicitly aimed at a wide audience. 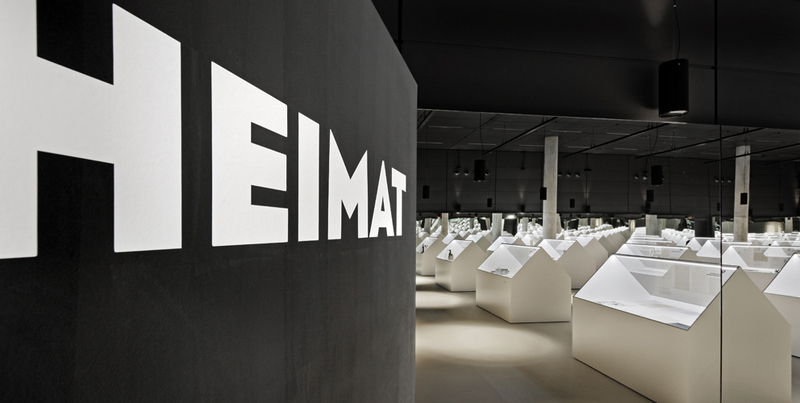 The concept and exhibition design are characterised by dialogue-based formats and a consistent focus on participation. The various themes and their implementation are aimed at encouraging the visitors to rediscover their city, inspiring debate on city life, and opening up previously unfamiliar perspectives on the city and its residents. 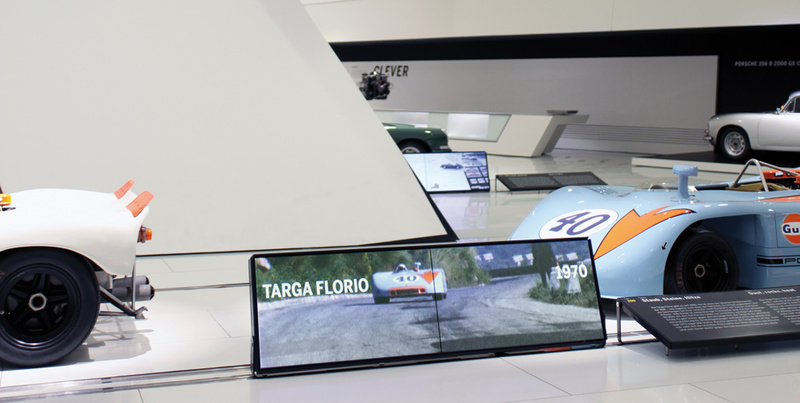 These ambitions were fulfilled by a modern exhibition design and use of a wide range of interactive media. Everything revolves around one question: what makes Stuttgart so special? The StadtPalais is a place where visitors discover the city’s history, discuss its present and devise its future. 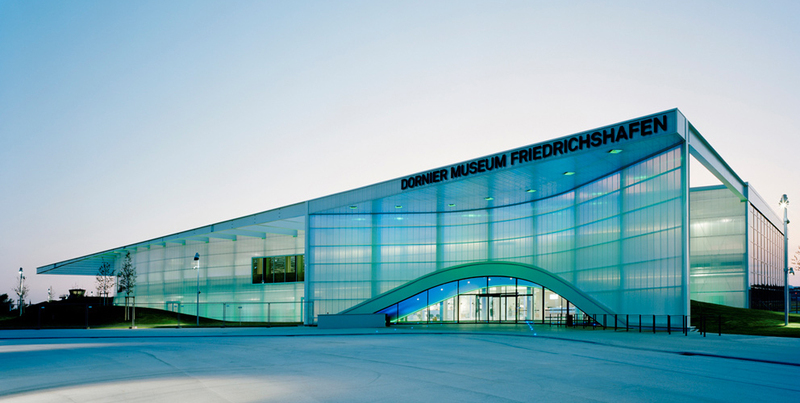 In that spirit, the trio of opening exhibitions form a harmonious design concept. While the permanent exhibition mainly offers different insights into »Stuttgart City Stories« from the past, visitors can rediscover their city through sound in the interactive exhibition »Sound of Stuttgart«. Visitors can help shape and discuss the city’s future development in the discursive format »Stuttgart and You 2038« with the help of an imaginative cityscape. 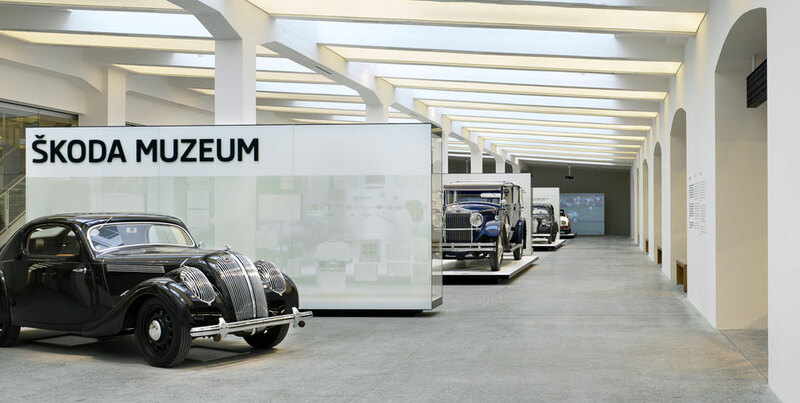 The permanent exhibition »Stuttgart City Stories« covers an area of around 900 m² and is the heart of the museum. It tells the story of the past that built the city’s identity since the late 18th century. The exhibition begins in the present among the citizens of Stuttgart themselves: what do they think of their city? What makes someone a »Stuttgarter«? In the centre, visitors encounter a huge, detailed model of Stuttgart. 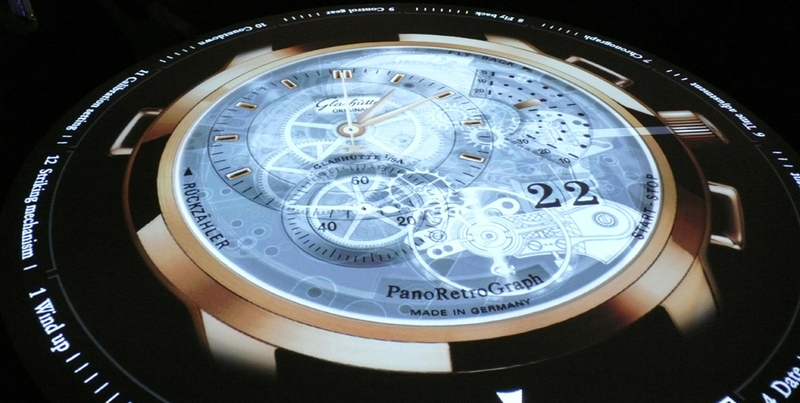 The huge topographic display is brought to life through a multimedia experience, where details about city life are projected onto the »surface« of the city. As well as individual streets and buildings, it is home to all kinds of information on Stuttgart as a social space and physical place. The city becomes the primary exhibit. With its radiant aura, the city model provides an initial emotional approach to the Stuttgart phenomenon from various angles. It also invites visitors to find out more in-depth information on interactive media screens – allowing them to browse through the city and what makes it today. Around the city model, »city conversations« bring exciting events in the city’s history to life. Objects and audio based on historical documents such as reports on the electrification of Stuttgart, letters to Mayor Manfred Rommel on the Red Army Faction (or Baader-Meinhof) terrorist group and disputes surrounding the S21 development project give the visitor an immersive insight into the issues which have shaped and moved the city of Stuttgart. In the interactive sections »Spirit« and »Form«, the visitor is encouraged to discover the stories themselves. 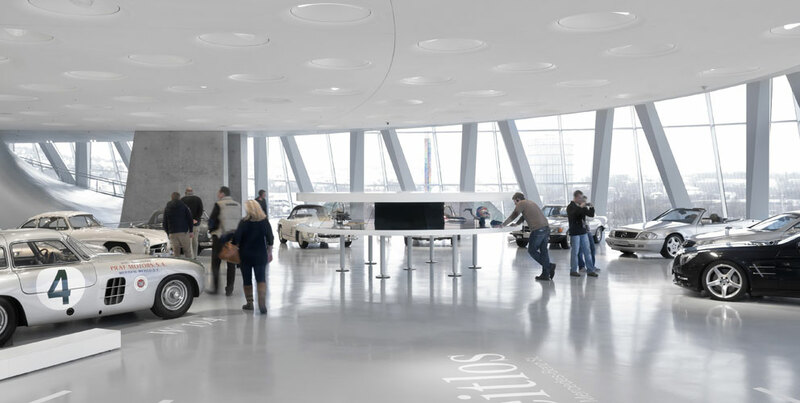 White models of buildings such as the Solitude Palace and symbolic objects like the Juchtenkäfer bug, made famous by Stuttgart S21, awaken the visitors’ interest. 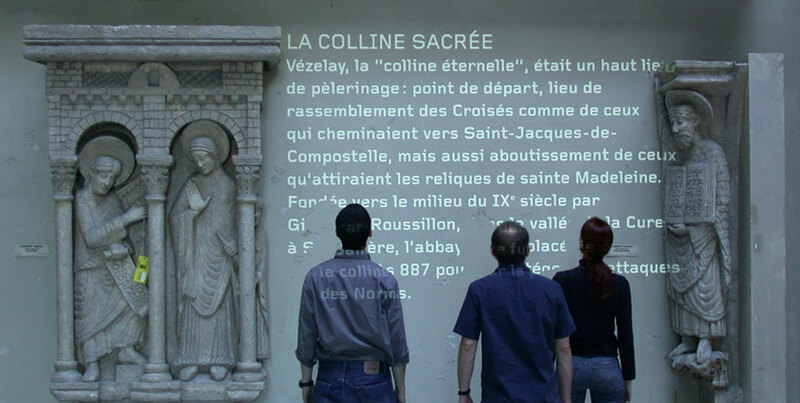 They invite visitors to discover the issues behind the object through multimedia, as when the models are placed on an interactive surface, they activate a multimedia story with the history and in-depth information on the object. Visitors discover the stories behind the models themselves based on their own interests and discover the spirit and soul of Stuttgart by picking up and touching the objects. In two »Century Rooms«, over 200 exhibits provide an insight into Stuttgart’s story through authentic objects. As part of a dense, chrono-thematic development, they tell an overall story which is subtly broken down into individual themed areas through architectural gradations. Throughout the exhibition takes off a subtly artistic trail: Visitors will find small wire sculptures by Stuttgart artist Jan Hoos on colourful podiums, which are model portraits of people who have shaped the city’s destiny. Our approach to media guides sees the people of Stuttgart tell their own story. In a multimedia tour, visitors can discover the exhibition along with the storyteller, from hip-hop musicians to street newspaper sellers, these characters tell their very own Stuttgart stories. 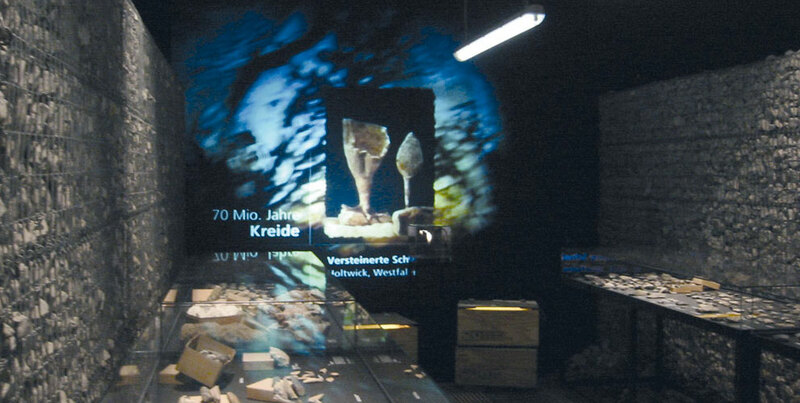 For younger visitors, the multimedia tour was created as an authentic experience by children for children, in collaboration with Galileo Grundschule. Eyes shut, ears open – that’s the motto of the special exhibition »Sound of Stuttgart«. The exhibition is an urban science centre for the sound of our city: an acoustic learning and activity trail has been created in collaboration with Stuttgart sound designers Klangerfinder. At various stations, acoustic phenomena to do with hearing are made interactive. Visitors can find out what structure-borne sound means and how noise and anti-noise can cancel each other out. Other stations actively get to grips with the key question: what does Stuttgart sound like? What sound does the Kräherwald forest actually make? And how different does Stuttgart sound by day and by night? While the design of spaces is usually dominated by visual attractions, it’s the opposite here: to create a sensory space which is as neutral as possible, visual elements have mostly been eliminated. The darkened spaces are dominated by soft materials with an acoustic impact, and text explanations have been kept to a minimum. Visitors can fully engage with the audio and sound experience. Finally, visitors step back into the light and help contribute to the Stuttgart soundscape. Using hands-on resources like paper, marbles or sheet metal, they can produce sounds themselves and bring a Stuttgart city scene to life. They become Foley – or sound-effects – artists, filling their city with sound. »Stuttgart and You 2038« is the first in a planned series of discursive formats dealing with the future of Stuttgart in the StadtPalais’s Salon Sophie. For 6 to 8 weeks, visitors will be asked about their expectations for Stuttgart – their own predictions, hopes and dreams for the future. They find themselves in a fantastical cityscape made from illustrated cardboard backgrounds, designed in collaboration with illustrator and designer Axel Pfaender. In this deliberately abstract environment, visitors vote on specific questions about the future at media stations: what will life in the city look like in 2038? What will safety and security be like in Stuttgart in 2038? How will traffic have changed? Will the local institution of Kehrwoche, or cleaning week, have survived in 20 years’ time? Visitors make their calls and the potential consequences for the city play out in illustrations on the monitor in front of them. The results of the vote will be displayed on a special light in the centre of the room, which will show whether visitors predict a rosy future for the city’s residents, and themselves, or whether they have a more sceptical view of their prospects. »Stuttgart and You 2038« thus becomes a barometer of the future, encouraging visitors to discuss the preferred path for Stuttgart from its residents’ perspective. Hops and beer – the town of Spalt (south of Nuremberg) lies at the heart of a German hop-growing area that is not only steeped in tradition, but also home to a truly unique brewery. A 500-year-old granary in the town houses a modern museum brimming with interactive installations. 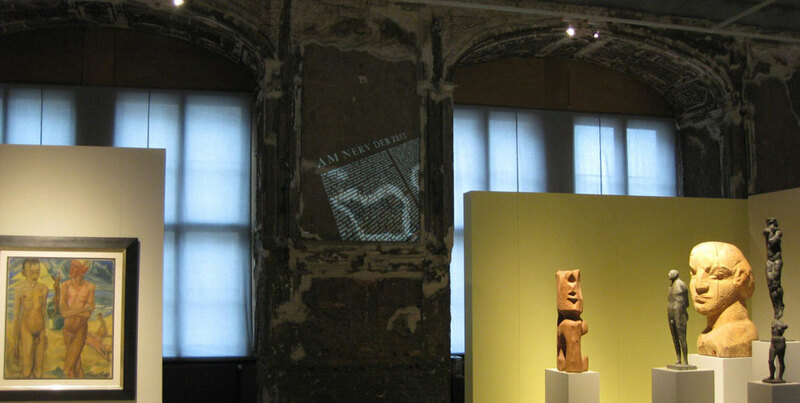 The features in the museum were given a neutral design to blend in with each room and accentuate the ambience. This was achieved by building on different perspectives, leading the eye and thus allowing the two-floor exhibition to add a touch of authenticity and presence to the history of the town. To appeal to visitors’ perceptions, their senses are stimulated with hands-on exhibits, each of which falls into one of four display themes. Actively immersing visitors in the experience helps expand the horizons of each piece, taking the exhibition to a new level. 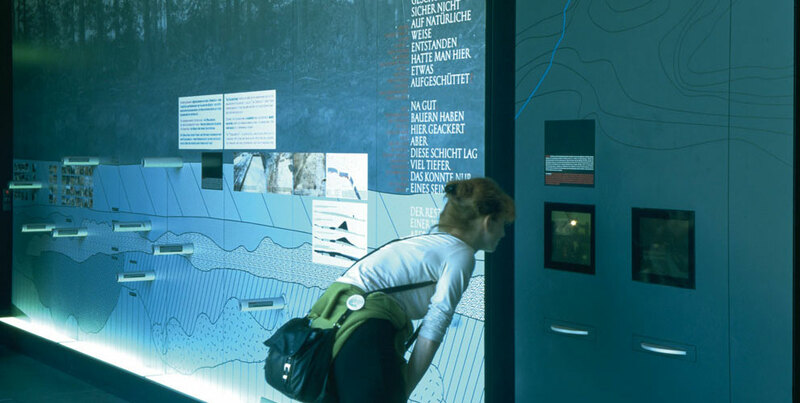 Modern media are used to introduce each theme, starting with an oversized interactive folding map that takes visitors on a virtual tour of the town. In the same way that the annual cycle of hop growing dictates the rhythm of the town and its inhabitants, a ‘panorama of the year of a hop’ brings its natural cycle to life with a 180° video. Visitors are accompanied on a journey through time, tracing the twelve months of the hop in a traditional town like Spalt. In the section focusing solely on beer brewing, visitors can walk into a huge brew kettle and learn about the bio-chemical processes that take place. An interactive beer table explores the beer cultures of the different countries to which Spalt hops are exported and where these unique hops find their way into brewmasters’ recipes. To visualise this process, a beer bottle is placed on a sensor, activating a virtual journey of exploration on the media screen – a voyage that covers the entire table top. The table is then laid, with a treasure trove of interesting facts and anecdotes on the culture and history of beer in each country. How did people in the years between 1914 and 1918 experience the discrepancy between the message of peace during Christmas time and the millionfold dying? In what manner did media and propaganda handle the subject of Christmas in times of war? A temporary exhibition at the Haus der Geschichte Baden-Württemberg offers answers to these questions and shows how Christmas was celebrated at the frontline and the home front during the First World War. A field of 24 glazed showcases, each with an integrated black cube at eye level, characterizes the narrative space. Comparable to a large Advent calendar the doors of the numbered cubes can be opened, offering an unimpeded view of the previously hidden exhibits. A timeline and a newspaper band frame the long sides of the field. The Christmas chronology describes the most important incidents during the four December months between 1914 and 1917, refers to the exhibits and puts them in the context of the war. How the national and international press handled the subject of wartime Christmas is documented in the newspaper band with covers of various magazines. A wooden Christmas tree decorated with patriotic Christmas ornaments impressively demonstrates how propaganda made use of Christmas traditions. 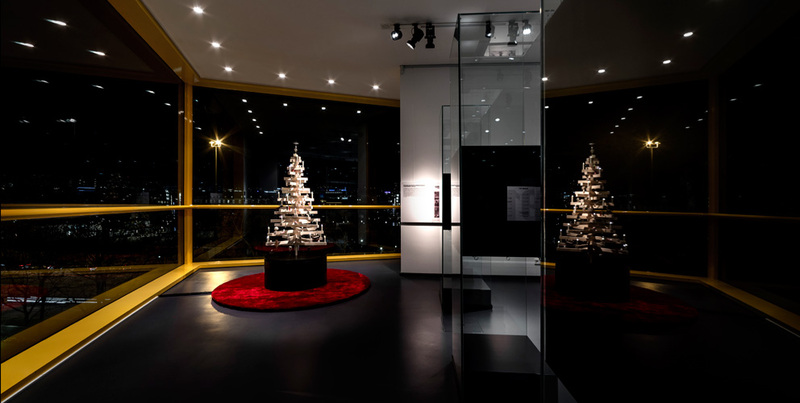 The Christmas exhibition is an extension of the exhibition “Carnival of Hell – The First World War and the Senses”, which was also designed and implemented by jangled nerves. Since the end of military dictatorship in 2011, Myanmar has opened itself considerably – also for tourism. Still, travelling to this unknown country means overcoming a certain barrier. At the Linden-Museum in Stuttgart, jangled nerves stages on some 800 square meters of exhibition space a comprehensive journey to multifaceted Myanmar with about 200 originals from international collections. In combination with videos and music, they convey an impression of Myanmar society and trace the manifold forms of religious expression in Myanmar life – by then a unique exhibition in Germany. 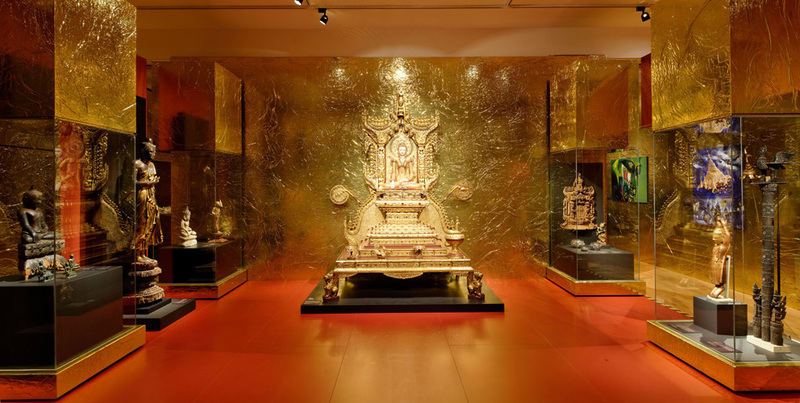 Significant and fascinating is the omnipresence of gold leaf adorning not only Buddha statues and shrines but also entire architectures like temples and pagodas. Gold is also the colour dominating the exhibition rooms, creating a very special atmosphere. The walls and showcases covered with gold foil seem as if clad in gold leaf, reflecting the light, widening the room and creating a homogeneous appearance. A nice contrast is created by the gold foil reflecting colourful banners hanging from the ceiling and serving as support for the entire exhibition graphics. They represent the respective colours dominant in Myanmar, other than gold, and help differentiate the various exhibition sections, which alternate between the concentrated presentation of real exhibits and large-scale video projections and images of natural scenery. »Fastnacht der Hölle« (Carnival of Hell) – this is how the writer Ernst Jünger describes his impressions of the First World War. Picking up on this image, the exhibition focuses on the direct emotions of the persons, their experiences and perceptions, during the first industrialized, global war. Five sensory points form the beginning of the exhibition and simulate specific sensory impressions based on samples: how this war tasted, how it smelled, felt, looked and sounded. The exhibition is centered around three large showcases, in which authentic, personal exhibits from the First World War are located in their settings; the frontline, the base and the home front. Experience reports of persons concerned – chronicled in letters and diaries – appear as weightless, ephemeral projections, layering the more than 400 objects. 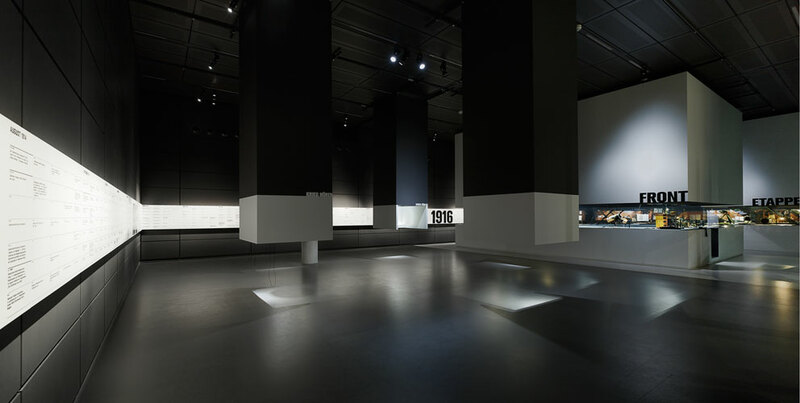 A calendar, extending from the first to the last day of war, frames as a chronological band of light the whole exhibition, which is immersed in a subdued lighting effect. The epilogue illustrates the still today visible consequences of war. It dismisses the visitors with a projection of the Somme craters. For 60 years the Mercedes-Benz SL has been the epitome of a sports car legend – a synonym for an outstanding spirit of innovation and cultivated athleticism. To commemorate the launch of the new generation in spring 2012 the Mercedes-Benz museum is dedicating a special exhibition to the legendary model range. Through the concerted use of different kinds of media, the integration history of displaced persons is told in a concise and entertaining manner.